Professor John Hafernik of San Francisco State University doesn’t leave home without an empty vial in his pocket. Entomology isn’t just a job; it’s a way of life, and Hafernik never knows when he’ll come across an interesting specimen during his daily travels. It was this personal habit that led to his accidental discovery that Bay Area bees were falling victim to an insidious insect, a parasitic fly that would come to be known as the "Zombie fly". 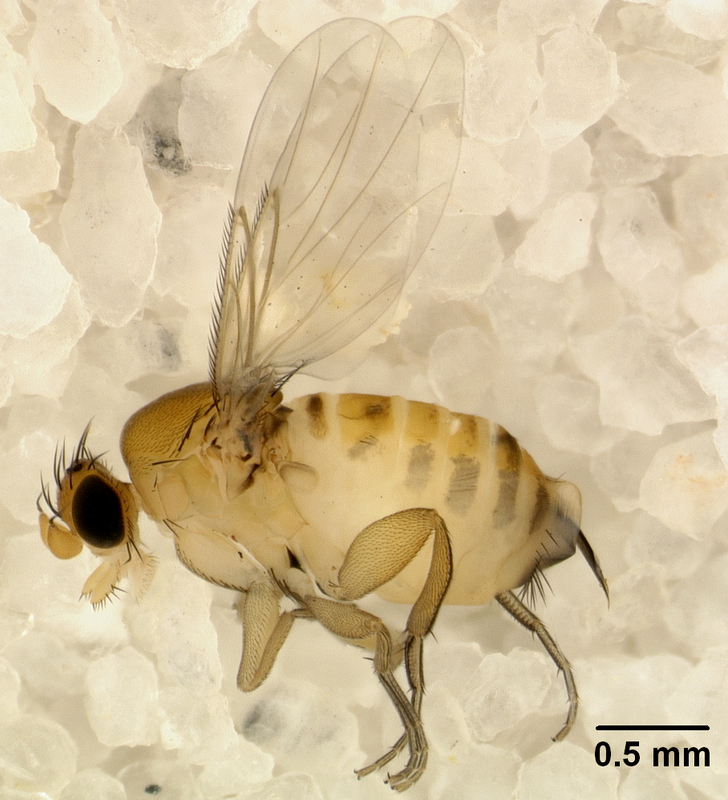 Originally described in the boreal forests of Maine, this Phorid fly, Apocephalon borealis, is distributed over virtually all of the United States and Canada. “It’s a very small fly, smaller than a fruit fly. It’s the kind of fly that most people would not notice, even entomologists often don’t notice these flies,” said Hafernik. But despite their diminutive size, A. borealis can have a catastrophic effect on the host organisms that they parasitize. The female fly is equipped with a specialized ova-depositor, a needle-like stinger that she uses to inject her eggs into the abdomen of a hapless insect host. The eggs hatch and the juvenile larvae, or maggots, feed on their living host from the inside. At some point, the host insect dies and the larvae escape their host’s carcass, often through a weak spot in the neck, emerging like the monster in the movie "Alien." "Bees that fly away at night basically are on a flight of the living dead. They’re not coming back." “The bees that are parasitized essentially get bee insomnia. 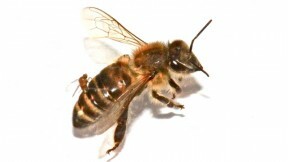 They leave their hives at night, which is a really bad time for honey bees to be leaving their hives. Bees that fly away at night basically are on a flight of the living dead. They’re not coming back,” said Hafernik. While on their nocturnal outings, parasitized honeybees also seem to be compelled to seek out light sources. This behavior differentiates them from healthy bees who do not typically show interest in lights at night. In order to begin the pursuit of a future cure or treatment for the parasite infection, researchers must first determine what is happening to the honeybees. 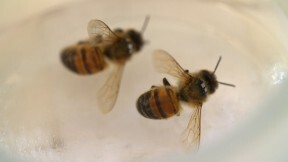 While SFSU graduate students like Chris Quock study the day and nighttime behavior of infected bees, Hafernik has set up a citizen scientist project in order to analyze the locations where A. borealis has switched to parasitizing honeybees. ZomBee Watch provides instructions of finding, collecting and identifying parasitized honeybees using a nighttime light trap. Participants can then upload their findings to the ZomBee Watch website, where Hafernik is able to map the phenomenon and look for trends. 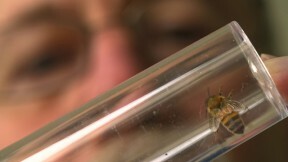 Professor John Hafernik of SFSU inspects a honeybee that may have been parasitized by A. borealis. Photo by Josh Cassidy/KQED.